Along the old logging road, 9 x 12" plein air, oil on linen/hardboard. The sunshine is warmer, the high fields are brown and almost free of snow, and the maple sap is flowing. On the northern side of the hills the snow remains, but it's not as deep. 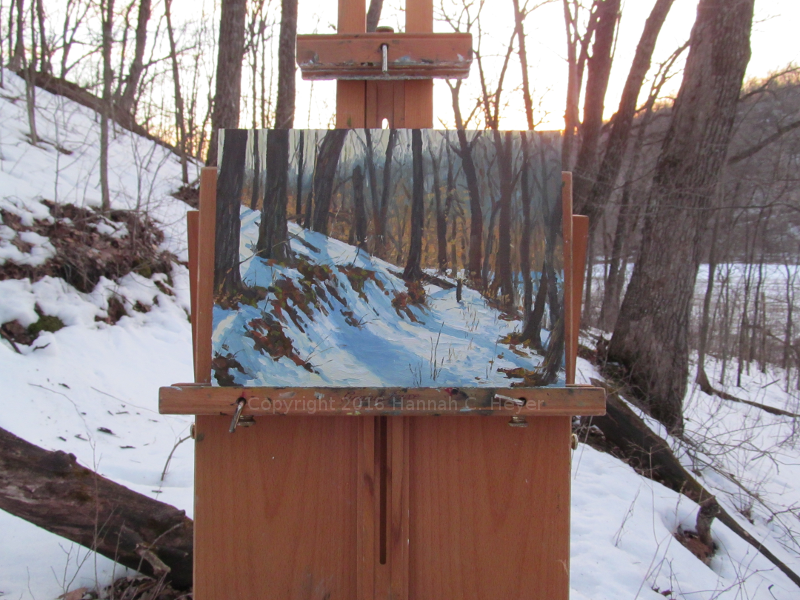 The day was so warm I didn't need my coat or mittens, and I painted until just before the coyotes began to yip and howl.